It’s not so much the convenience of controlling these things from the couch or even abroad – it’s the peace of mind of knowing away from home that I locked the door or set the alarm, and the reduced energy bills from better managing the heater or air conditioning. They can be expensive – about $US200 for a highly rated model. But for a single door that’s the main point of entry, I’d absolutely buy a smart lock. It turned out they were checking in, as the officer had apparently seen a “suspicious” vehicle drive into my driveway earlier that day. I’m very appreciative. But ringing the doorbell at 2 a.m.? My wife thought we were getting burgled – albeit by courteous burglars who ring doorbells before they steal your stuff. For between $US100 and $US250, yep. Absolutely. 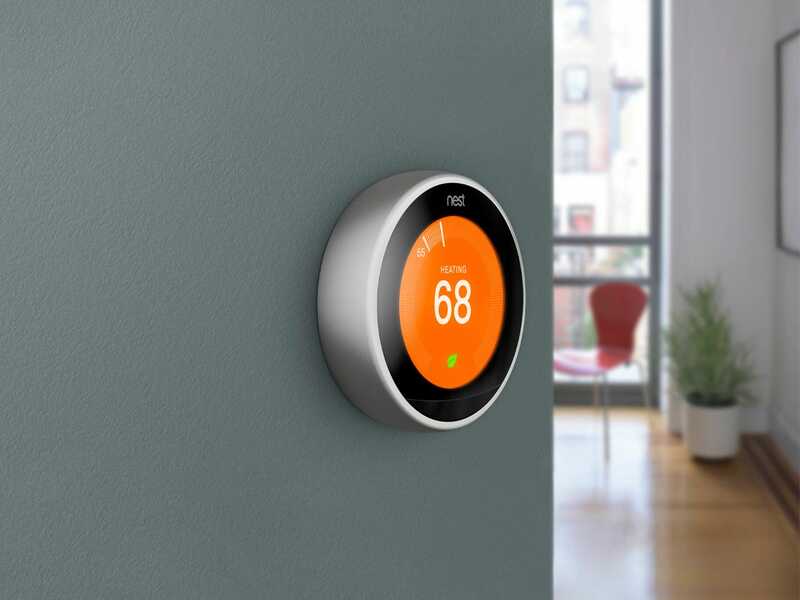 Saving on energy bills and having more control make the price of a good smart thermostat – between $US100 and $US250 – worth it, in my opinion. 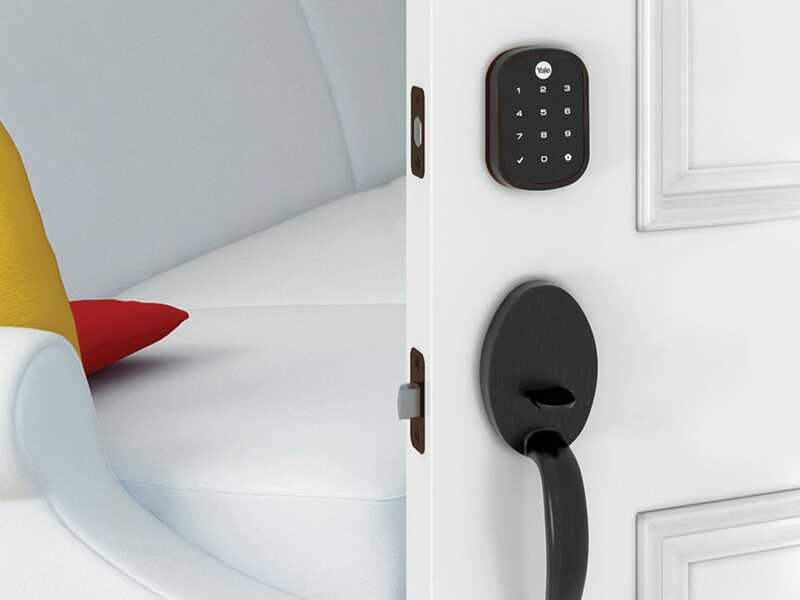 I’ve been using a smart alarm and security system that usually costs extra, but that’s often optional. 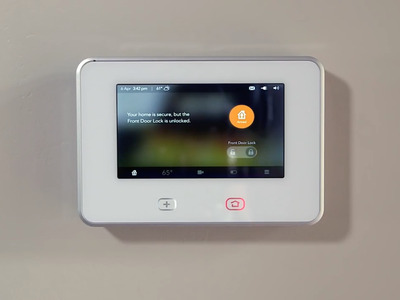 Sensors detect when nearly every door and window in my home is open or closed, and they’re all linked to the smart alarm system that’s connected to the device’s own alarm service. You need that if you want the police to come to your house automatically – without calling them – when there’s a break-in. It’s been useful to see which doors and windows might be open before setting the alarm and to make sure it’s set when you leave. However, like regular alarm systems that connect to alarm services, smart alarm systems tend to include a subscription that you pay monthly or yearly. Some smart-alarm services aren’t that much more expensive than a regular service; it depends on how much the regular service charges you. Would I pay for a new smart alarm and security system if I moved to a house with a normal system? I’d keep using the normal system at first, as I’d have to get a new smart-alarm panel, which can cost between $US50 and $US500. Smart monitoring cameras have been awful in my experience. I certainly haven’t tried all the smart cameras available. And the ones I’m using are on the older side, so newer models are surely improved. 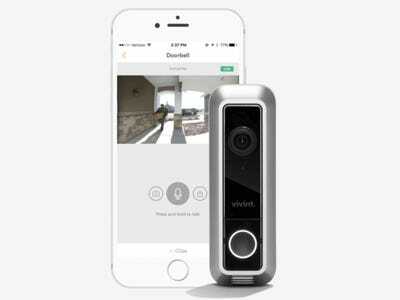 But I almost never use smart cameras apart from the camera on my doorbell. 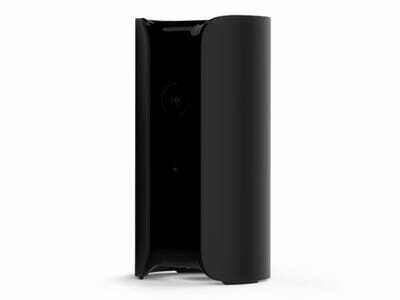 For reference, the smart monitoring cameras I’ve tried include the original Canary, Netgear’s Arlo Pro cameras, and Vivint’s Ping camera. The main reason I dislike those I’ve used so far is that they’re terrible with motion detection and notifications. They detect either everything, including the shade from a passing cloud, or nothing at all. If I set the motion detection to a high sensitivity, then I’m constantly bombarded with notifications on my phone. If I set the sensitivity too low, it doesn’t detect anything and completely voids the point of using a smart monitoring camera. There’s probably a perfect setting, but I haven’t found it yet, because it requires a lot of tweaking and testing. Most companies that sell smart monitoring cameras also charge a subscription fee to store all the video clips the camera records from motion beyond 24 hours. In my experience, they absolutely aren’t worth it, especially the extra subscriptions to store video clips. Would I install my smart home-monitoring cameras if I were moving? That will be a big nope. I’d probably give them away or throw them in the trash. I would keep an eye out, however, as I would like some kind of monitoring camera for inside and around the house that handles motion detection well. There are tons of other smart devices that you can control online or with an app. A popular entry-level option to get smart homes started is smart lightbulbs, which you can turn on and off or even change colours via an app. There are smart appliances too, and even smart systems for sprinklers and pool machinery. Pretty much anything that can be turned on and off or controlled in some way is getting smarts these days. 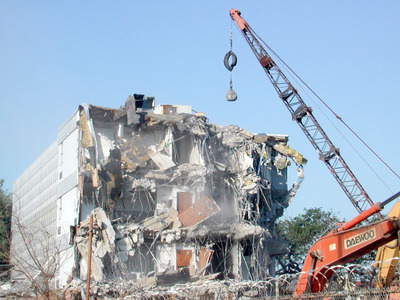 • Sensor batteries also need to be replaced, but that’s the same for normal alarm systems. • Newer models can get better over time, meaning you’d need to buy new smart devices if you want to benefit from newer or improved features. It’s a bit like smartphones, but with less frequent upgrades. Meanwhile, normal locks and thermostats never become obsolete. 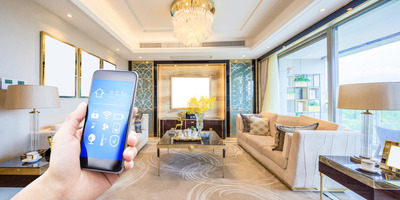 Some smart-home services charge a monthly or yearly subscription fee for some basic things, like controlling locks and thermostats from an app. Others don’t. I’m getting subscription fatigue, where I’m amassing too many services that charge me on a monthly or yearly basis. I’d rather pay more up front for a smart-home device than pay less up front with a paid subscription. With that in mind, I’d check out smart-home devices and systems, like Ring or Nest devices, that don’t require paid subscriptions for basic things like controlling locks or temperature through an app. 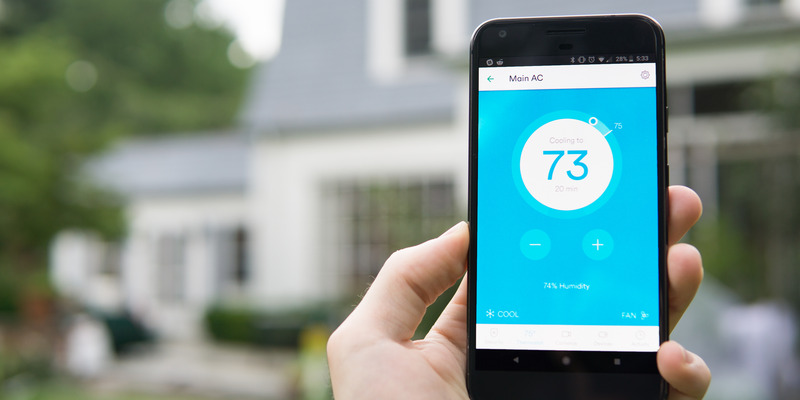 But if a paid subscription is within your budget and you have a specific desire to go for a smart-home system like Vivint, ADT, or Comcast Xfinity Home that charge you monthly or yearly for certain basic things, there’s no harm in doing so.